President Trump will make a campaign stop on Saturday for Troy Balderson, a Republican state senator running to represent Ohio’s 12th congressional district that includes affluent suburbs of Columbus as well as rural parts of central Ohio. The Aug. 7 election takes place in a district that voted 53-42 for President Trump in 2016 while returning Rep. Pat Tiberi, a Republican, to Congress by a large margin. But halfway through his term, Tiberi resigned out of frustration with the political climate and took a job leading an Ohio business group, putting a historically Republican seat into play. Balderson’s opponent, Franklin County Recorder Danny O’Connor, is riding a wave of Democratic enthusiasm in a race that has become a dead heat, according to recent polling. O’Connor has raised more money than Balderson, who has outside Republican groups running ads on his behalf. Last Saturday, Republican voters packed into a carpeted hotel conference room outside Columbus to to hear Balderson speak. Congressional Republicans began 2018 hoping they could run on their newly enacted tax cuts and the strong economy. Instead, Balderson’s campaign is focused on a Trump-style message around immigration and social issues. “In Congress, Balderson will defend our Christian values and support American jobs by building Trump’s wall, deporting illegals, and will be the same fiscal conservative he’s been in the state senate,” one of Balderson’s ads said. Republicans like Sue Lorenz, a hospital worker at Ohio Health, approve of that message. “It’s very important to find a replacement for Tiberi who will support Trump’s agenda and further conservatives’ values,” Lorenz said. Balderson and his allies charge that a vote for O’Connor is a vote to make Nancy Pelosi speaker of the House. But O’Connor says he doesn’t plan to back Pelosi and that Republicans are trying to distract voters. Democrats have outperformed in terms of turnout in almost every special congressional election since 2016, including wins in Alabama and Pennsylvania that took Republican seats, and they see this race as a chance to flip one last seat before the general election. In a district that hasn’t been represented by a Democrat since the Reagan years, the race has energized local activists like Phyllis Elmo, one of O’Connor’s volunteers. Republicans insist that they’re not taking the race for granted. In addition to Trump’s visit, Vice President Pence campaigned with Balderson earlier in the week. 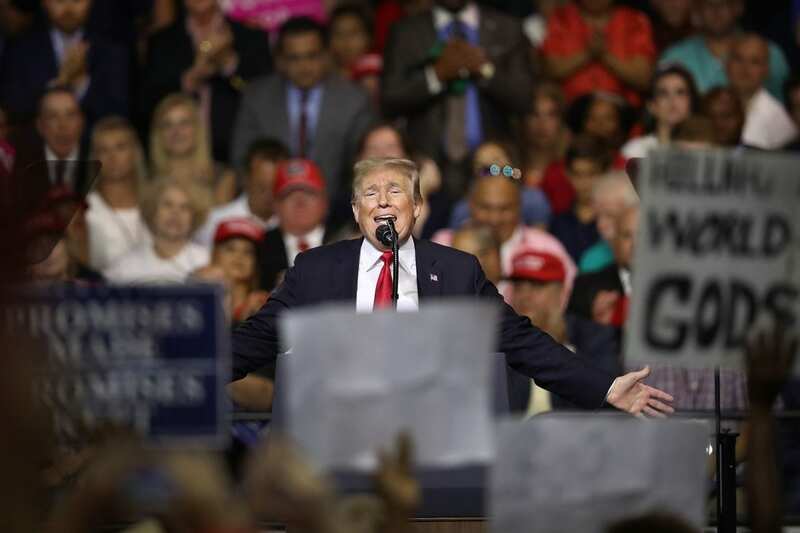 “We all are aware of the fact that there’s increased Democratic enthusiasm and energy on their side in this political year,” said Matt Borges, a former chair of the Ohio Republican Party. Whoever wins on Tuesday will only serve the remainder of Tiberi’s unexpired term. Balderson and O’Connor will face each other again on the ballot on Nov. 6 for a full term.